Some gift ideas available in the Because I'm Me shop. 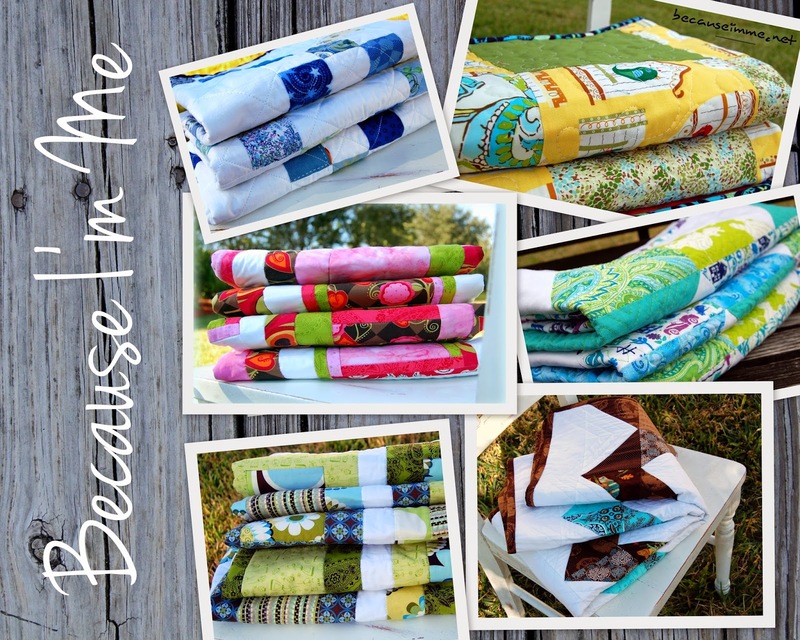 Many Because I'm Me quilts are lap sized, big enough to snuggle under all winter long. Others are toddler or baby sized; just right for a toddler bed cover, floor mat, or wall hanging. You can find our current selection of quilts here. 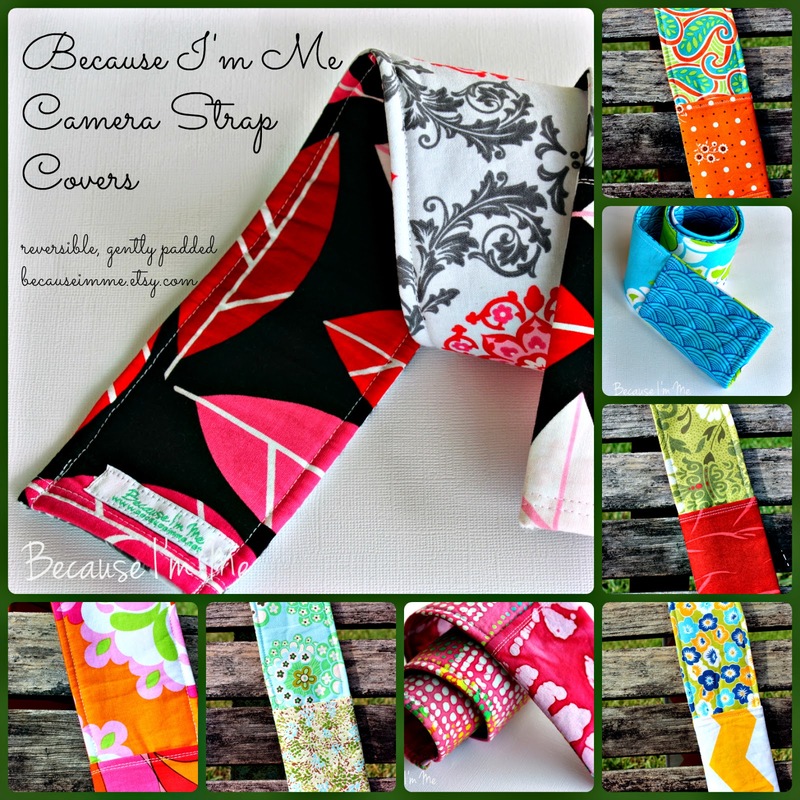 Camera strap covers are both practical and stylish. The padding makes the cover so much more comfortable on the neck, and the lens cap pocket is a perfect little storage place. And, let's be honest, they're way more attractive than the standard black strap everyone else has. Find a strap cover to suit your fancy, or the fancy of those on your gift list, in the shop.